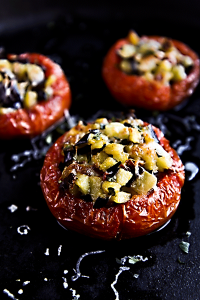 Stuffed mushrooms are a perfect recipe for party! Tasty bites flavored with creamy egg and cheese filling, soo good! Stuffing my mushrooms, I opted for Gruyere. I love this cheese, it’s perfect to be melted, but Italian Fontina, or Provolone, or Gouda are delicious as well. Same thing for the herbs: today I choose parsley, but sometimes I opt for fresh oregano or dried mint, try them on and let me know! Clean the mushrooms and eliminate the stalks. Pour the butter into a large pan and place over medium heat. When the butter is melted and starts bubbling, add garlic peeled and crushed, and bay leaves. Sauté garlic until pale gold, then add the mushrooms top side down. Salt and sear the mushroom until golden brown, then turn the mushrooms and sear the down side. Keep an eye on garlic: when it will be well golden brown, but not burnt, put aside and save for the stuffing. 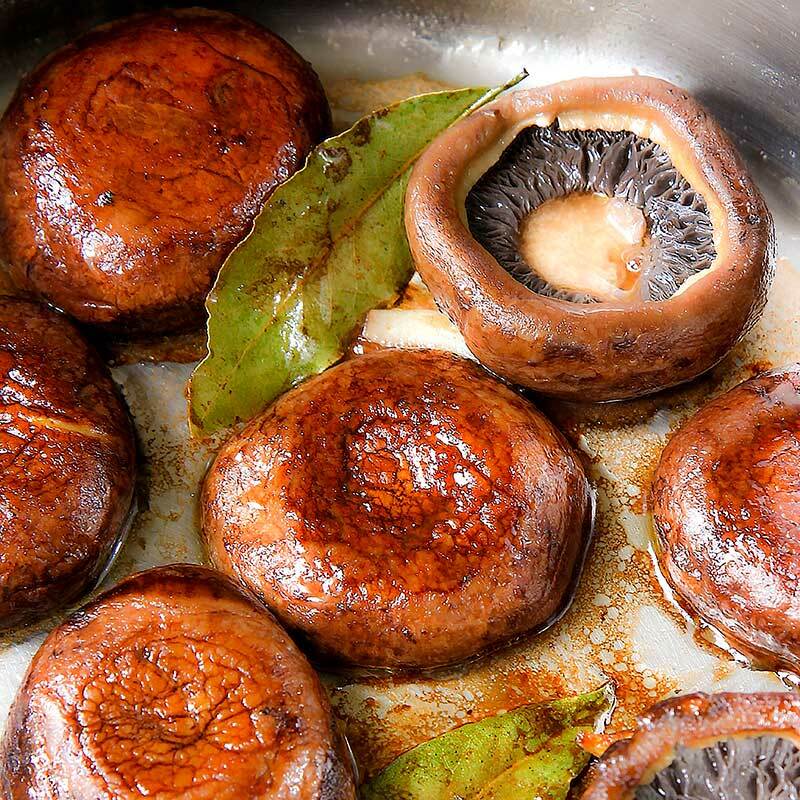 Cook the mushroom until tender without losing their shape. Pre-heat the oven on 400° F.
Mash the golden brown garlic .Crack and pour the egg into a bowl. 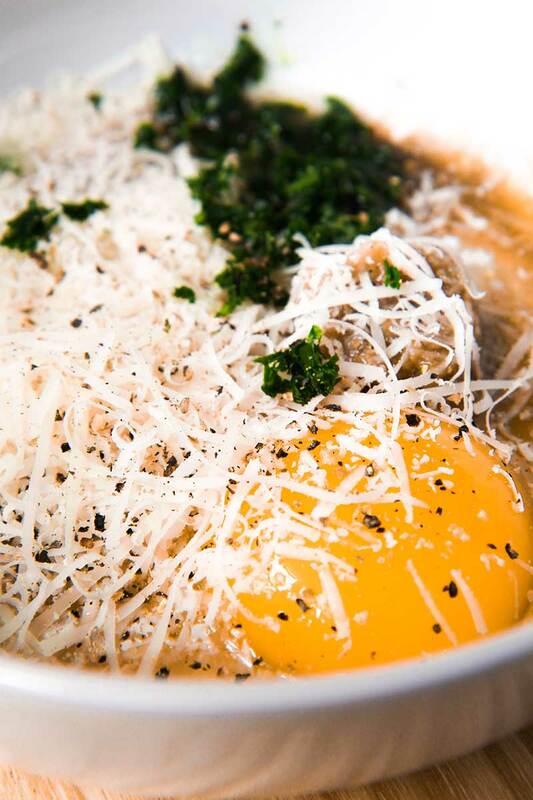 Beat lightly the egg, then combine with grated Gruyere, minced parsley and mashed garlic. Mix all the ingredients with a fork until consistent. 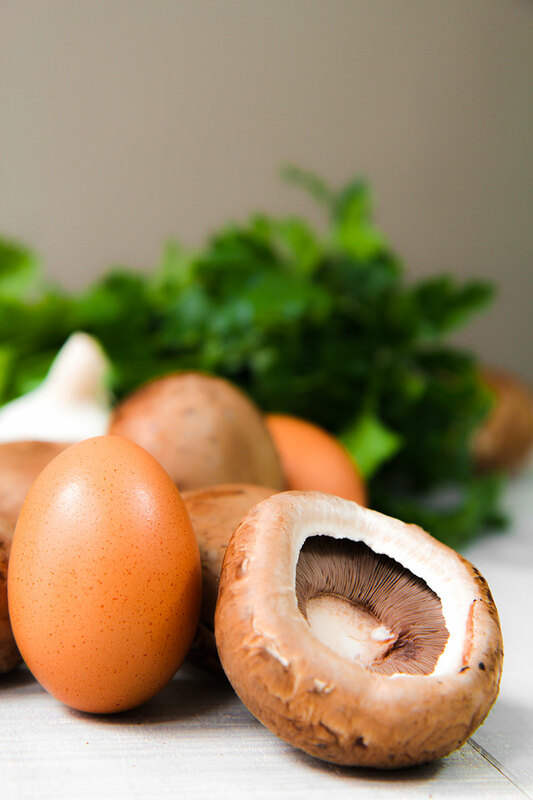 The mixture have to be dense enough to fill the mushrooms without trickling. 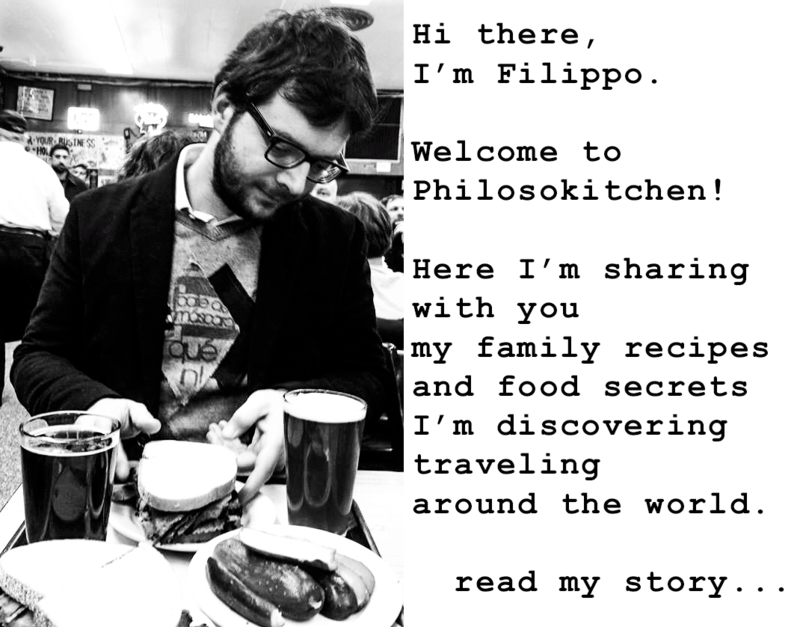 If not, add more cheese. 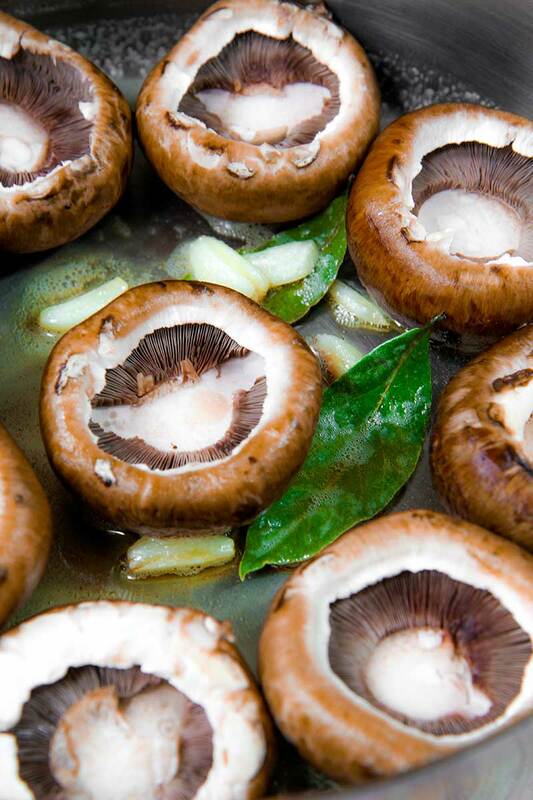 Place the stuffed mushroom on a baking tray lined with parchment paper. Bake the mushrooms at 400° F about 15 mins, until the stuffing is thick, then broil until golden brown. 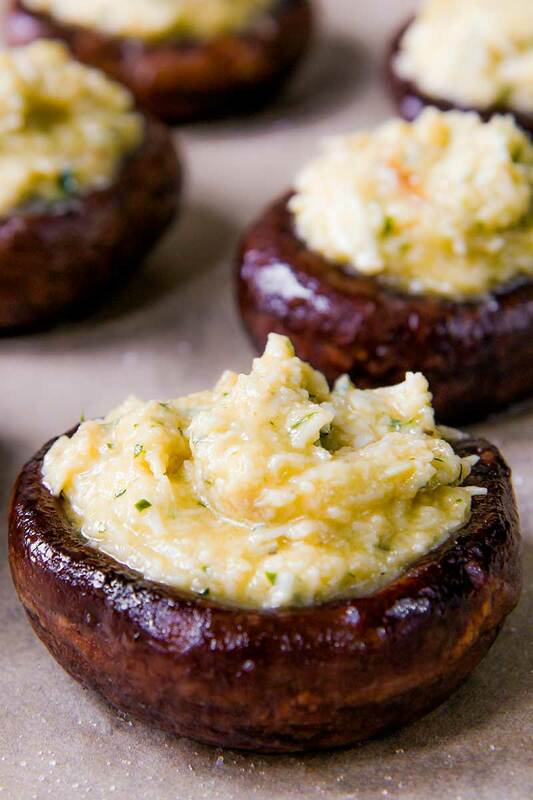 Complete stuffed mushrooms with a generous dash of black pepper. then serve very hot. 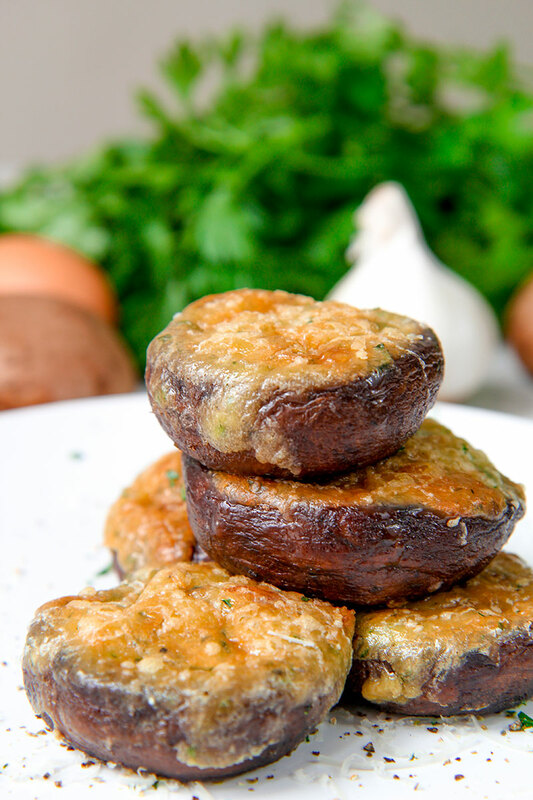 Stuffed mushrooms are delicious paired with meats or fresh greens, and perfect as bites for a party or watching the game!